Whether you’re looking to replace a bunch of old, clogged rain gutters or simply hoping to give your home better defenses against the onslaught of rain, installing rain gutters is the ultimate solution to resolve your situation. We pride ourselves in our ability to install rain gutters with superior speed and satisfying results, guaranteeing that you won’t have to worry about troubling gutter problems for many years to come. Our process starts off with a quick however in-depth scan of your home and gutters. We first seek to understand your current situation and then tailor fit a gutter installation plan that would best suit your needs. We collaborate with our clients to come up with real, customer-centered solutions that won’t only deliver positive results, but will also address any gutter problems at the root. We then prepare the necessary tools, equipment, and materials to ensure the smooth and seamless gutter installation process. Our team of skilled professionals have been with our company for years, and it is because we put these dedicated men and women at the heart of our business that we are able to deliver speedy and satisfactory results that set the golden standard for gutter installation. Finally, we clean out any mess, pack up, and leave your property better than ever before. You can be sure that when you book a job with us, we don’t only eliminate the mess, we also guarantee that your rain gutters will tough it out even through the heaviest of downpours. Worried about those upcoming storms? Rain gutter installation is peace of mind and just a phone call away. 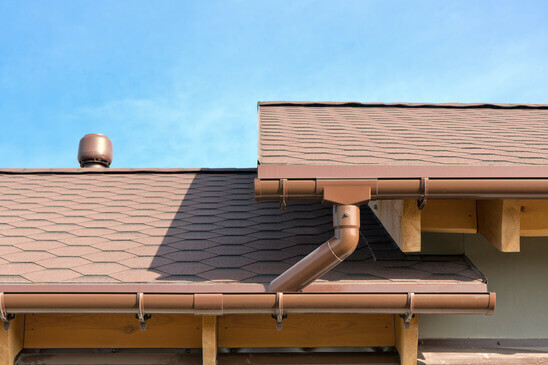 Contact us today for the best gutter installation service for your money’s worth!